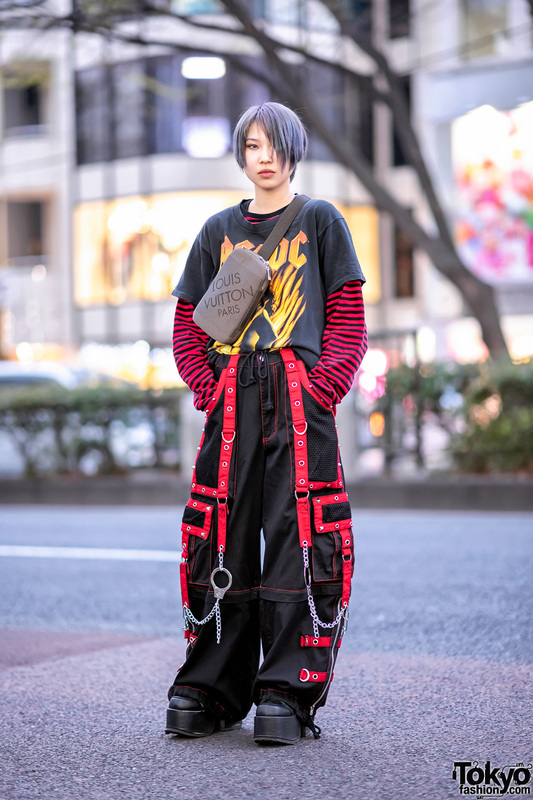 While out walking the streets of Harajuku, we came across Yoh, a 15-year-old Japanese student whose colorful streetwear style easily caught our eye. 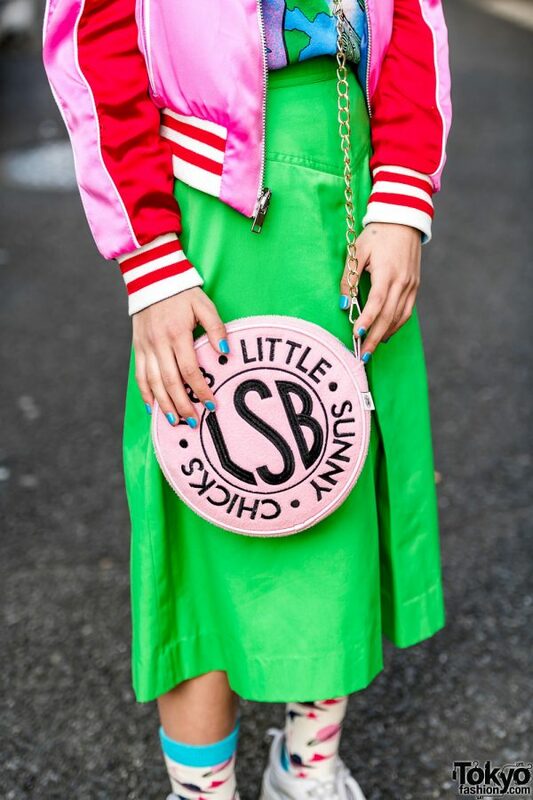 Yoh is decked out in a pink-and-red satin varsity jacket from The Mighty Company, and styled with a blue ribbed turtleneck top layered with a pink printed shirt from Wasteland vintage. 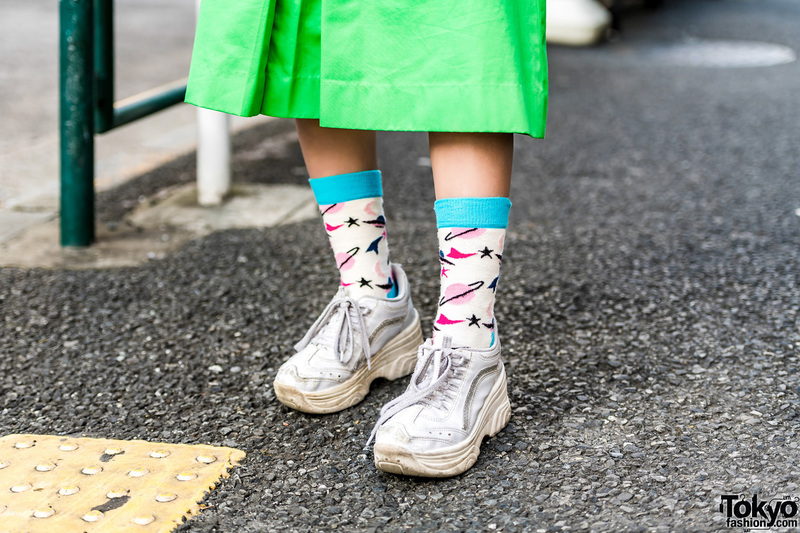 She paired her layered tops with a green pleated midi skirt, galaxy print socks, white sneakers from Peco Club, and a pink round chain sling bag from Little Sunny Bite. Blue button earrings, and white statement sunglasses rounded out Yoh’s ensemble. Yoh’s favorite fashion brands include RRR Show Room and Little Sunny Bite, and she is active on Instagram.